Zeteticat, Beth and I talked about an Alias Grace read along a few weeks back on twitter and we are making it happen. The novel is one of Atwood's more popular works. 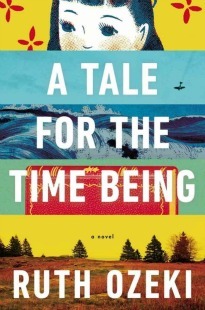 It won the Canadian Giller prize and was shortlisted for the Booker Prize and the Orange Prize. 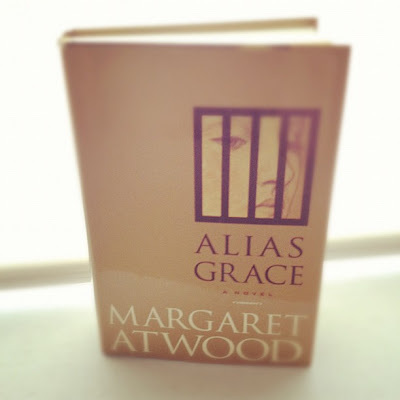 A synopsis from Goodreads: In Alias Grace, bestselling author Margaret Atwood has written her most captivating, disturbing, and ultimately satisfying work since The Handmaid's Tale. She takes us back in time and into the life of one of the most enigmatic and notorious women of the nineteenth century. Grace Marks has been convicted for her involvement in the vicious murders of her employer, Thomas Kinnear, and Nancy Montgomery, his housekeeper and mistress. Some believe Grace is innocent; others think her evil or insane. Now serving a life sentence, Grace claims to have no memory of the murders. Dr. Simon Jordan, an up-and-coming expert in the burgeoning field of mental illness, is engaged by a group of reformers and spiritualists who seek a pardon for Grace. He listens to her story while bringing her closer and closer to the day she cannot remember. What will he find in attempting to unlock her memories? Is Grace a female fiend? A bloodthirsty femme fatale? Or is she the victim of circumstances? This read along is going to be on the casual side with two scheduled posts. There isn't a certain amount of pages that need to be completed for the first post, but the book should be finished when you post final thoughts. First post Wednesday, May16th: General and early impressions; themes and motifs that you've noticed so far, etc. No spoilers. Last post Wednesday, May 30th: Wrap up discussion, overall impressions, etc. Truth vs fiction: likelihood this version is close to the truth. Spoilers are fair game. It sounds like this is going to be a book that encourages discussion, so I'm really excited to be reading it as a readalong. To sign up head over to Zeteticat's Bookish Habits and leave a comment on her post. If you need another reason to sign up, Ana from Things Mean A Lot said this was her "favorite Atwood to date, which says a lot". Yippie! I'm hoping I actually finish. You guys are gonna really have to push me! So much stuff to do... I'm still really excited. It's bound to be a good time! Geez, timing is everything. I wish I could join in, but my May is insane. I'm throwing a friend's bachelorette party, then I have their wedding, then my Dad's big 60th party, my sister's 30th and my own. I know I won't be able to do a readalong justice. My love of Atwood makes me want to do it though. Oh well, next time. I know May is kind of rough for me too but I'm thinking if I focus on this book I'll be okay. I have had this one for years and definitely want to read it. maybe I'll take it along on my vacation next month so I can join the readalong. Okay let us know what you decide! I read this book a few years back while on holiday. I used to hate Margaret Atwood. This was the book that changed my mind. I will not be joining in but I will follow your discussions of this disturbing novel with interest . Alias Grace is actually one of my least fav Atwood pieces...but it was still a pleasure to read, if nothing else for the quality of storytelling. Definitely an interesting story, and as usual, Margaret Atwood is a glorious read :) I'm sure you'll enjoy! Ohh, I love Margaret Atwood, haven't read this one yet, and my semester will end right before the read along begins! Sound perfect! I'm kind of late to the party, but this one is sitting on my shelf, patiently waiting to be read. Sounds like a perfect time to pick it up. I was kind of meh on the last Atwood I read. Maybe this one will turn it around for me.